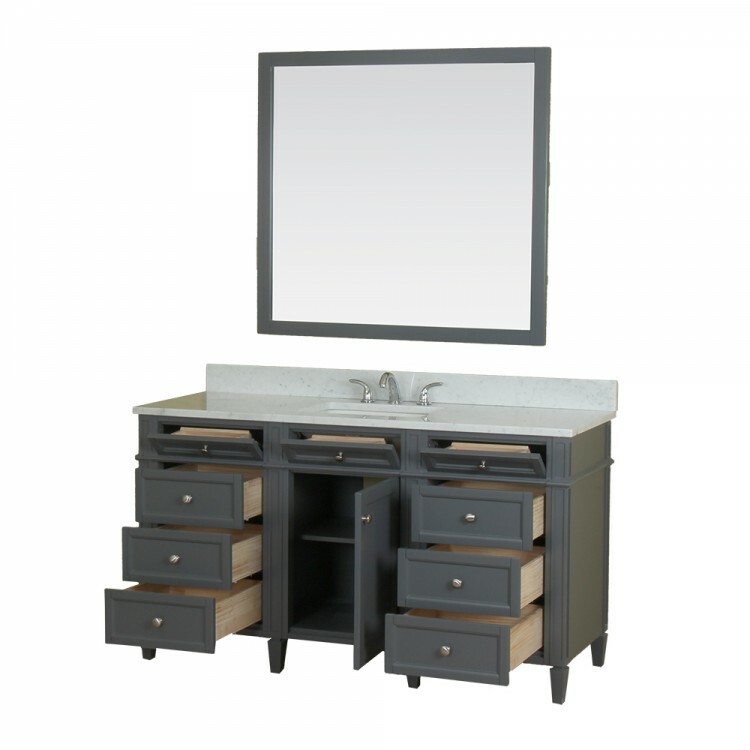 Samantha 60" grey single vanity features classic details and will add a level of sophistication that is perfect for any bathroom remodel and offers the expected security of durability. 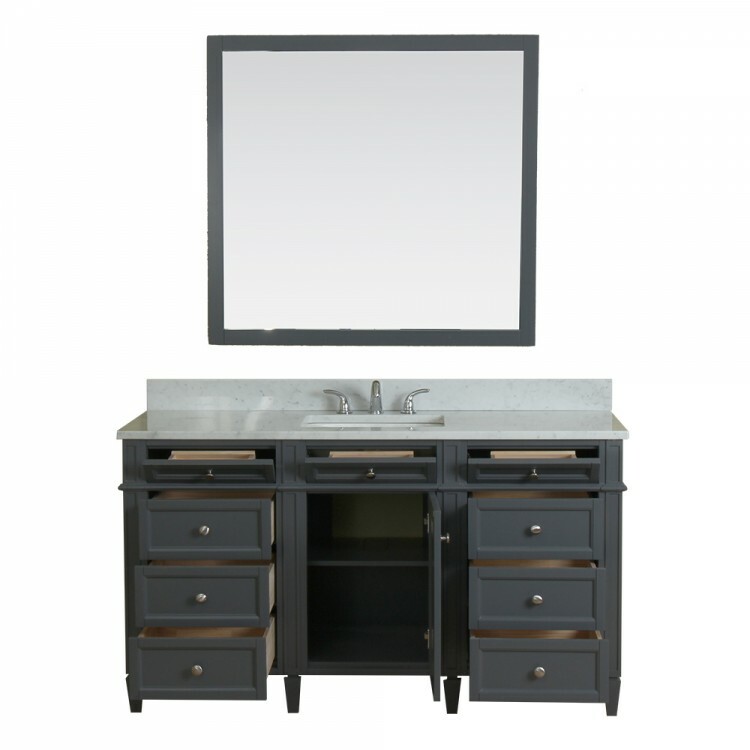 Solid hardwood construction with dovetail joined drawers makes this collection classy. 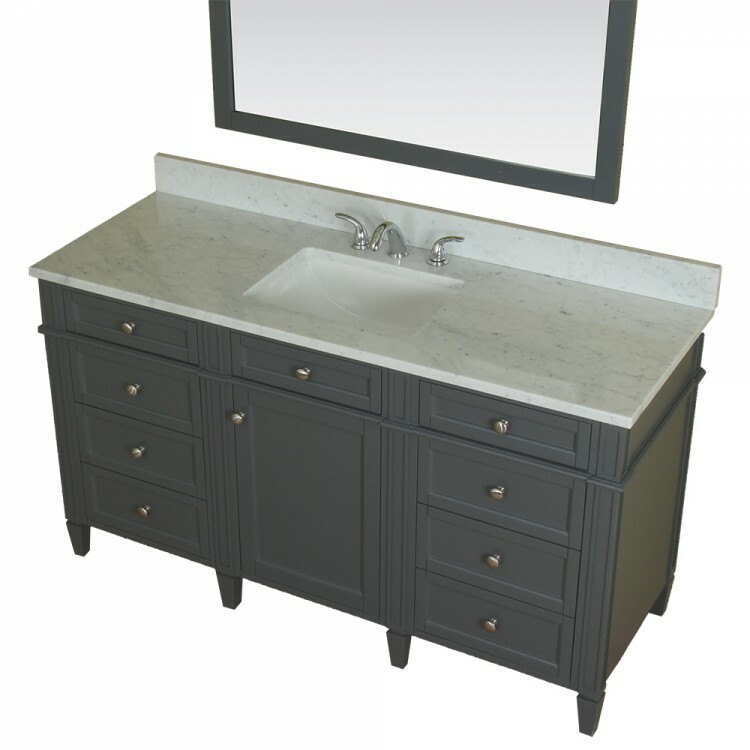 This vanity comes fully assembled with the marble countertop and ceramic sink attached to the base for easy installation. 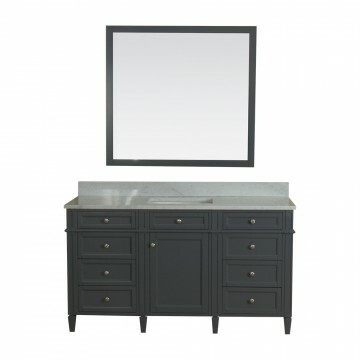 Samantha 60" cabinet is designed to sit flush against the wall. 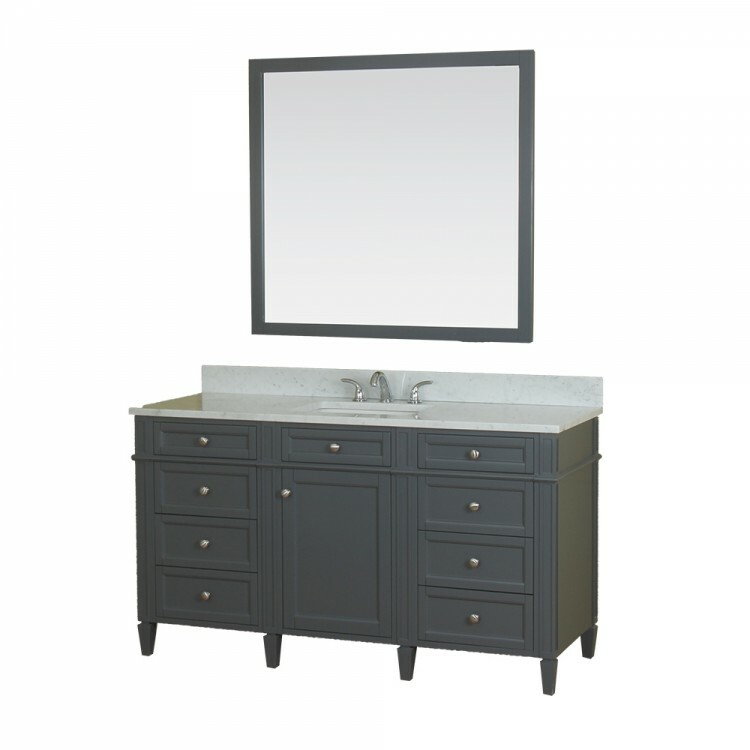 Already assembled brushed nickel hardware will be sure to complete the elegant look of your bathroom. Real Italian white Carrera marble top is factory pre-sealed to prevent any staining and watermarks. This vanity has plenty of countertop space and a room display bottom shelf.